This isn’t quite like Netflix, where you stream your content. 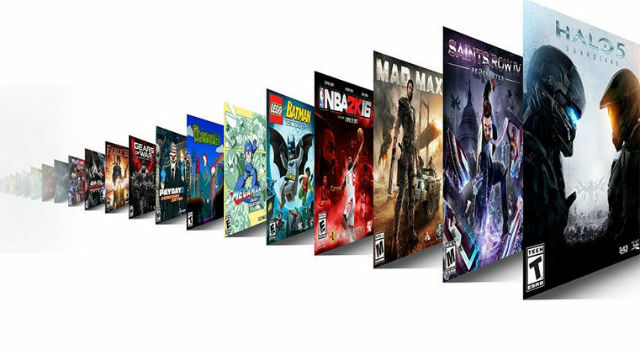 Xbox Game Pass is a download subscription, allowing you to download games to your system and to later purchase them at a discount of 20% for games or 10% for additional content. Some Xbox Insider members will get access to Xbox Game Pass beginning today, Xbox Live Gold subscribers will get it soon, with the full program available to everyone with the system later this spring. Some of the titles in the announcement include Halo 5: Guardians, Payday 2 NBA 2K16, and SoulCalibur II, with Saints Row IV, Mad Max, NBA 2K16, Terraria, LEGO Batman, and Fable III visible in the picture, among others. What do you guys think of the idea of a subscription service for Xbox? Is this something you’d pay money for? Let us know in the comments or tweet us @ComingSoonnet.